Cooper Weather Master S/T 2 tires are built to provide drivers with excellent handling and traction on snow and ice covered roads. With sizes to fit just about any automobile, this studdable Cooper snow tire has received rave reviews for its performance and value. The tire itself features Cooper’s patented Snow Groove technology combines with a high traction tread design to provide more biting edges that grip snow and ice, giving you added confidence behind the wheel. D Squared Sipe Technology adds more sipes throughout the tread pattern to make it easier when driving on rain covered roads and less likely to hydroplane. Noise is reduced and riding comfort increased through Computer Optimized Random Pitch Sequence. If you find yourself needing even more traction during severe winter weather you can easily add studs to the Weather Master. Never forget the stud size since Cooper molds it into the sidewall for convenient reference. Inside the tread you’ll find twin steel belts with a tri-polymer blended tread compound to give added strength at highway speeds, while also providing more even tread wear and increasing the life of the tire. Overall, Cooper has done a solid job of manufacturing a snow tire that makes winter driving much easierâ€¦ and safer. The tire performs well and is comfortable and quiet on the road. With its many available sizes and long tread life, the Weather Master makes an excellent choice in winter tires. Prices on the Cooper Tires Weather Master S/T 2 range from around $73 for the 13 inch series model to approximately $154 for the larger 18 inch series tire. Who Are Cooper Weather Master Tires Designed For? Cooper has developed the Weather Master studdable snow tire for drivers of all models of coupes and sedans who are looking for excellent handling and traction in snow, slush, ice, freezing rain and any other type of winter weather. 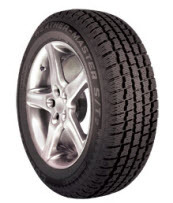 Cooper Tires provides a standard warranty on the Weather-Master S/T 2 tire. During the first year or first 25% of wear, if your tire fails due to materials and workmanship, a free replacement will be made. The amount is then prorated down to the last 2/32 inch of useable tread wear on the tire.